Graphic design is all around us: from the websites we use and advertisements we see to the signs we pass on the highway and menus we read in restaurants, this purposeful art is constantly influencing our daily lives. Because of its ubiquitous presence, the graphic design industry is constantly evolving and expanding to keep up with demand. This is good news if you’re interested in pursuing a career in graphic design. As someone who might already have an interest in or knack for graphic designing, the constant progression in technology and trends can sometimes be difficult to keep up with. Check out these 10 free, popular graphic design templates and icons to help you hone your skills and stay in touch with trends. Along with loads of creative design inspiration, Dribbble offers tons of free, high-quality icons, fonts, vector illustrations, patterns, and textures. Register for a free account and explore all that Dribble has to offer. As one of the most reputable online warehouses for everything, Web Designer Depot has it all. Not only will you find valuable educational content on things like coding CSS and WordPress, but you’ll also love browsing their selection of freebies that are essential to design. From mock-ups and vector files to icons and backgrounds, Web Designer Depot offers it all. FreePik is your go-to place for free vector designs. With over a million free vector graphics and photographs, you’re sure to find the resources, inspiration, and solutions you need, no matter what project you’re working on. With a huge selection of both free and premium images, GraphicBurger is a graphic designer’s paradise. Oftentimes you can find freebies on GraphicBurger that cost you on other websites, so be sure to check this site out before you buy. Arguably one of the greatest font websites available today, Font Squirrel gives you access to hundreds of different free typefaces that can be used in virtually every type of graphic design work. From bold corporate fonts to gentle calligraphy, you’re sure to find what you’re looking for on Font Squirrel. Though it’s not necessarily your mainstream graphic design website, Unsplash is a fun, off-the-beaten-path website that adds 10 fresh, new photos every 10 days. Here you’ll find everything from stoic portraits and breathtaking landscapes to remarkable architectural imagery. Be sure to check with Unsplash every couple weeks to see what’s new. As one of the most reputable online resources for flat-style icons, FlatIcon is sure to have the gem you’re looking for. With nearly 70 thousand icons and the largest database of free vector icons on the web, FlatIcon will be invaluable to your graphic design career. Graphic design frequently involves bold patterns and crisp designs, but occasionally projects call for subtle patterns and soft fonts. For these projects, visit Subtle Patterns by Toptal. This online resource for free backgrounds will quickly become one of your frequently visited sites. As one of the leading online graphic design communities, the Noun Project gives you access to over 100,000 icons across various themes. Uploaded daily from creative community members, these icons help you keep your projects looking fresh and innovative. What free graphic design resources do you regularly utilize? Tell us in the comments! If you’re looking to become a graphic artist or expand your skill set with a college degree, check out the programs offered at the online School of Graphic Arts at Independence University. As one of the leading online graphic design communities, the Noun Project gives you access to over 100,000 icons across various themes. Uploaded daily from creative community members, these icons help you keep your projects looking fresh and innovative. What free design resources do you regularly utilize? Tell us in the comments. 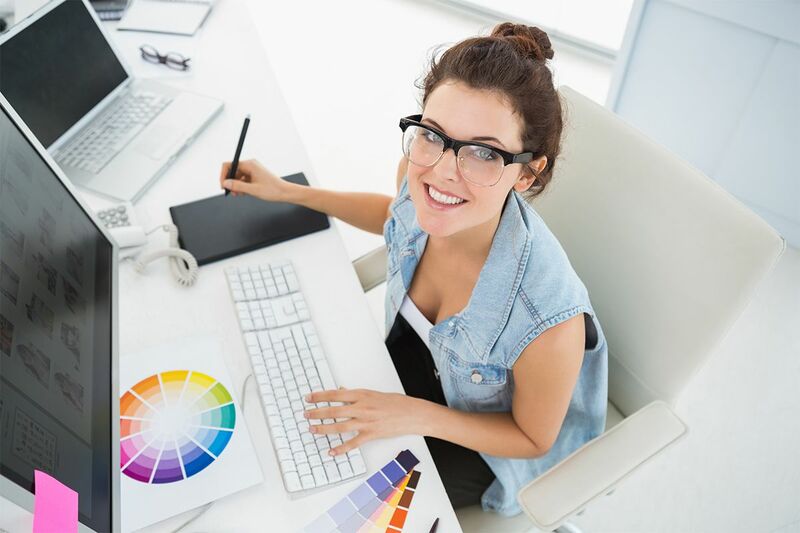 If you’re looking to become a graphic artist or expand your skill set with a college degree, check out the programs offered at the online School of Graphic Arts at Independence University.